All of us – all of us – have definitively been there. Trundling down an empty stretch of barren, deserted, straight, flat highway, desperate to just gun it. 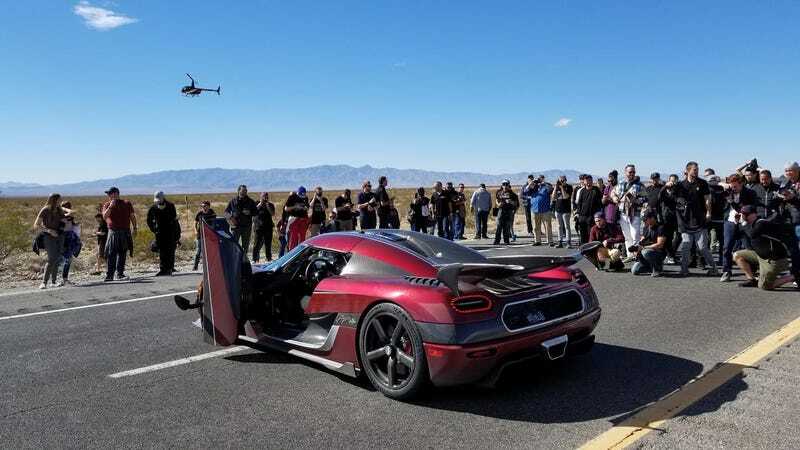 That’s what the Koenigsegg Agera RS did on a stretch of Nevada road, hitting 278 mph. And by doing so, it might have broken the fastest speed ever recorded on a public road. I’m using words like “may” and “might have” because, like so much else in the record-keeping world, it’s a little unclear and a lot of it depends on who you ask. Ask the Germans, and they would tell you that the Mercedes-Benz W125 Rekordwagen holds the title. The Rekordwagen, so-named because it was German and they couldn’t come up with anything more imaginative, was built to please the Nazis in 1937. In January of 1938, Rudolf Caracciola piloted it up to 268 mph on the Autobahn, and there the record was set, for nearly 80 years. 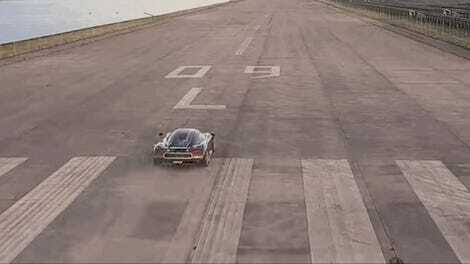 The current record holder is Jim Peruto who drove 243.7 mph during a legal racing event on May 20, 2012. Don’t complain if the video is crappy and he moves past too quickly, as that’s sort of the point. But as those who have taken at least three years of advanced calculus can attest, 243.7 mph is certainly a bit slower than 268 mph. So why the discrepancy? I’m still waiting for the GWR people to get back on that one, but if I had to wildly guess, I’d say it has something to do with the strict verification protocols that revolve around this sort of thing. And in that vein, the Guinness spokesperson said they’re still waiting for all the evidence from Koenigsegg in order to review the record attempt for certification. But in the meantime, it looks like Koenigsegg’s got it right, with an average speed of 278 mph, averaged after runs in opposing directions. I don’t care if it’s got the “official” record or not. This record is good enough for me.